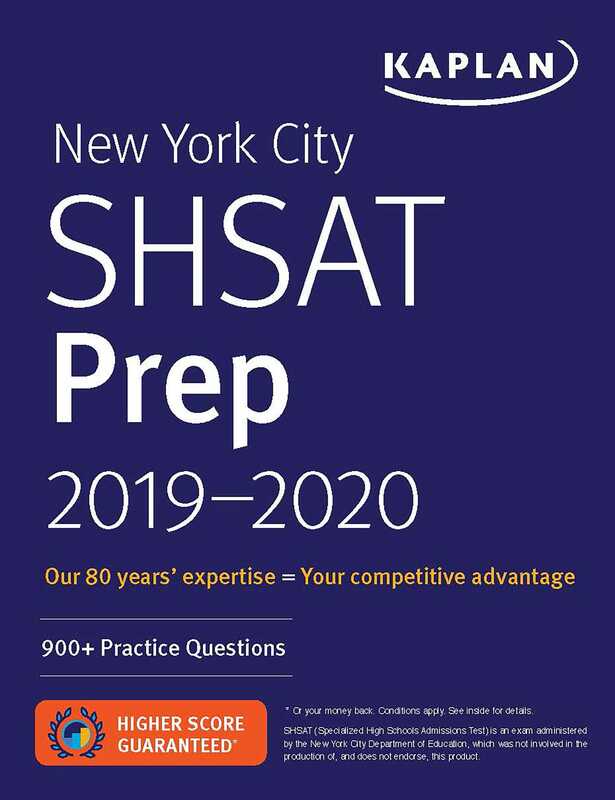 Kaplan's New York City SHSAT Prep 2019-2020 provides the most up-to-date content to help you succeed on the new Specialized High Schools Admissions Test (SHSAT). Our realistic practice, answer explanations, and expert review will help you face the SHSAT with confidence. Kaplan is so certain that New York City SHSAT Prep 2019-2020 offers all the guidance you need to excel on the test that we guarantee it: After studying with our book, you'll score higher on the SHSAT—or you'll get your money back. Our guide to the SHSAT can help eighth- and ninth-grade NYC students gain admission to a specialized high school such as Stuyvesant High School; Bronx High School of Science; Brooklyn Technical High School; Brooklyn Latin School; High School for Math, Science, and Engineering at City College; High School of American Studies at Lehman College; Queens High School for the Sciences at York College; or Staten Island Technical High School.